Furry friends have skin issues too! And they appreciate organic ingredients just as much as we do -- That's why we only use organic oils in our Gentle Pet Balm. It's an alternative to chemical-filled products in moisturizing dry itchy skin, skin rash, hot spots and allergic skin reactions. Our balm is not medicated. It is known to be very safe and gentle on pet skin conditions. 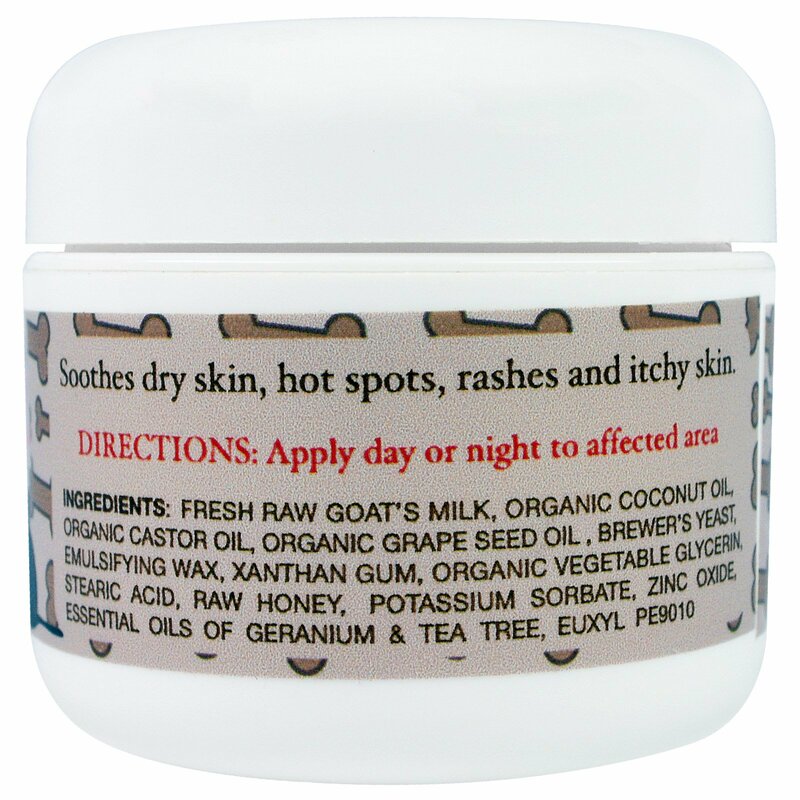 Many of our customers say it is amazingly helpful in soothing dry skin. 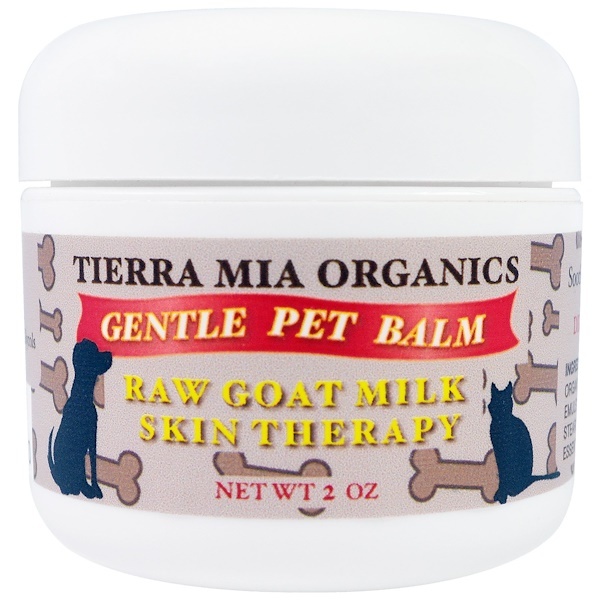 We formulated out pet balm with fresh goat milk. Why fresh goat milk? Fresh goat milk aids to pH balance the skin. Skin conditions are correalated with abnormal pH. Goat milk also aids in cellular renewal. Leaving your pet with healthy new skin. 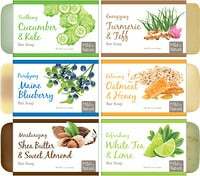 Fresh raw goat's milk, organic coconut oil, organic castor oil, organic grape seed oil, brewer's yeast, emulsifying wax, xanthum gum, organic vegetable glycerin, stearic acid, raw honey, potassium sorbate, zinc oxide, essential oils of geranium and tea tree, Euxyl pe9010. Apply day or night to affected area. Leche de cabra cruda fresca, aceite de coco orgánico, aceite de ricino orgánico, aceite de semilla de uva orgánica, levadura de cerveza, cera emulsionante, goma de xantano, glicerina vegetal orgánica, ácido esteárico, miel cruda, sorbato de potasio, óxido de zinc, aceites esenciales de gernaium & tea tree , Euxyl pe9010.